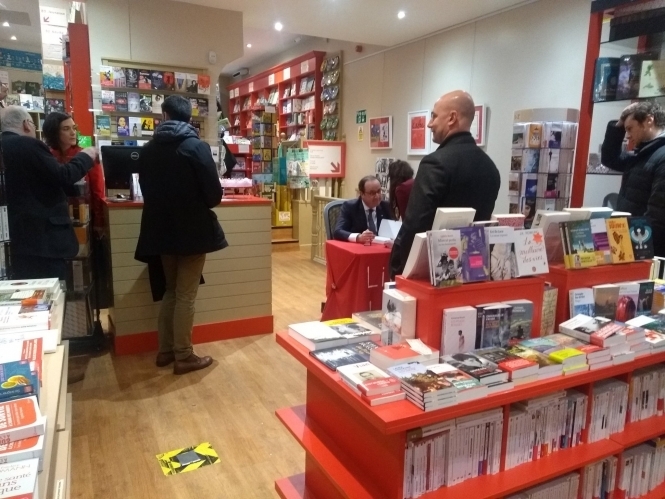 Former French President Francois Hollande was in London last weekend, signing copies of his book Lessons of Power at French bookstore La Page, in the French area of South Kensington. Interest in his book has been high, despite his low popularity when he left office. 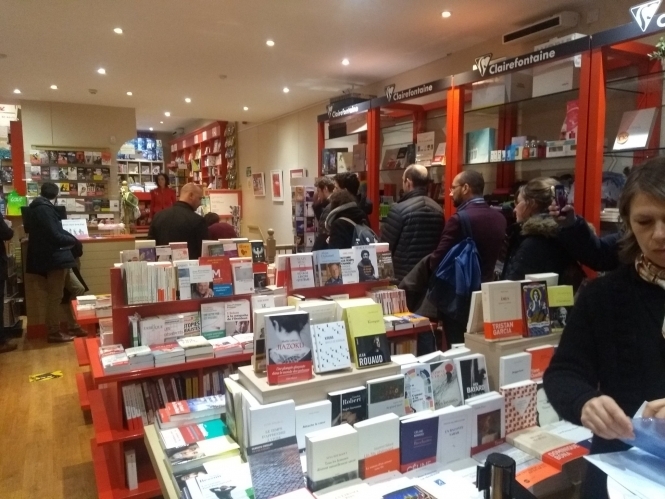 I remember seeing on French TV long lines of French people queuing in front of bookstores in France to have their copies of Lessons of Power signed. He had been supposed to come to the British capital to promote his book in December - but cancelled his trip because of the gilets jaunes crisis. So, on a cold Saturday afternoon, I decided to go to La Page - you don’t often get to see a former French president in a local bookstore in South Kensington. I had read the book in April 2018, when it came out, and thought it interesting. In it, he insists that "France is doing better" than when he first took office and warned that democracy "without being weak" should not resemble a monarchy. In it, Mr Hollande talks about his experience as a president, the challenges and problems he had to overcome on personal and political levels during his five years in office, and offers honest insights into crucial mistakes he made during his presidential mandate. He deals with domestic and international issues, notably labour law reforms, partnerships with European countries, Syria, the terror attacks in Paris and Nice and his relations with world leaders, notably Russian President Vladimir Putin, former US President Barack Obama, and German Chancellor Angela Merkel. And he insisted that his willingness to be of political service to France had nothing to do with holding a position of power, but his eagerness to contribute to the nation’s development. When I was queuing in the cold, people were coming coming out of the bookshop, telling us it was worth the wait. I saw French people talking to him and getting their books signed. He spent a lot of time smiling for photographs with people. When it was my turn, I told Mr Hollande that I was a British citizen, have spent 11 years in Paris in the past and I follow French politics. He was surprised. His bodyguard kindly took a photo of us. I was impressed that a so many French people queued to see the former President, given how unpopular he was while in office. I suppose they are fed up with Emmanuel Macron. One could also say former French presidents are more popular when they leave power. Chirac, for example, was missed. As in an election campaign, he shook hands with people, signed copies of his book and posed for photos for more than two hours at La Page. One had to be motivated to brave the cold and queue to exchange a few words. "I waited a good half-hour, but it was really worth it," said Julia Anglet, a 29-year-old French woman. "I voted for him in the 2012 presidential election and I never had the opportunity to meet him, so it was the right occasion. "He was very kind and friendly. In any case, he gave me the impression of being interested in what I had to say. I'm really happy to have spoken to him." Another French person in London, Said Touama, said he did not expect to see so many people. “François Hollande was open to the public, he was welcoming and smiling. And I had the opportunity to exchange a few words." I had the same impression that Hollande was friendly and human. The man behind me bought four copies of Lessons of Power. I knew this was great occasion for the French community in London. He may come back to politics in the near future - and one thing is for certain: He seems more popular in London than in France.